Tayari Jones has written for McSweeney’s, the New York Times, and The Believer. Her first novel, Leaving Atlanta, received best of the year nods from theWashington Post, the Atlanta Journal-Constitution, and Creative Loafing. Her second book, The Untelling, won the Lillian C. Smith Award from the Southern Regional Council and was a Target Breakout Book. And her most recent book, Silver Sparrow, was an Oprah Magazine Best Book for 2011, Library JournalBest Book for 2011, and the National Women’s Book Association 2011 Great Group Read. 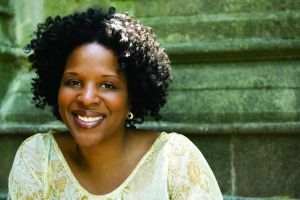 Jones is spending the 2011-12 academic year at Harvard University as a Radcliffe Institute Fellow, researching her fourth novel.